Honey Balsamic Dressing with a Twist! Access to fresh organic produce during this time of year is so easy. Clear across Canada, people are harvesting from their gardens and visiting farmers markets to pick seasonal, fresh, delicious items. 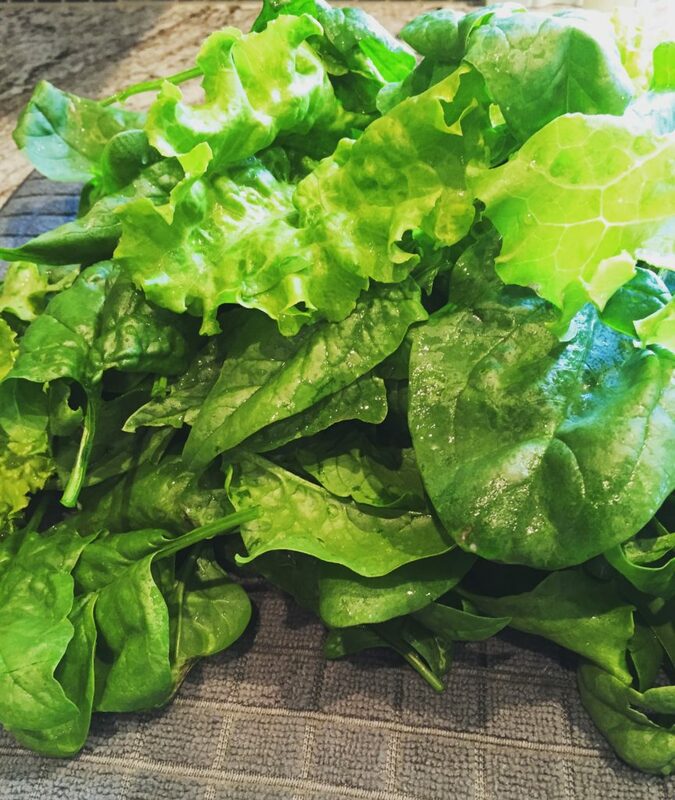 Crisp deep green spinach, soft buttery lettuce, sweet green onions, gorgeously plump radish, oh my! 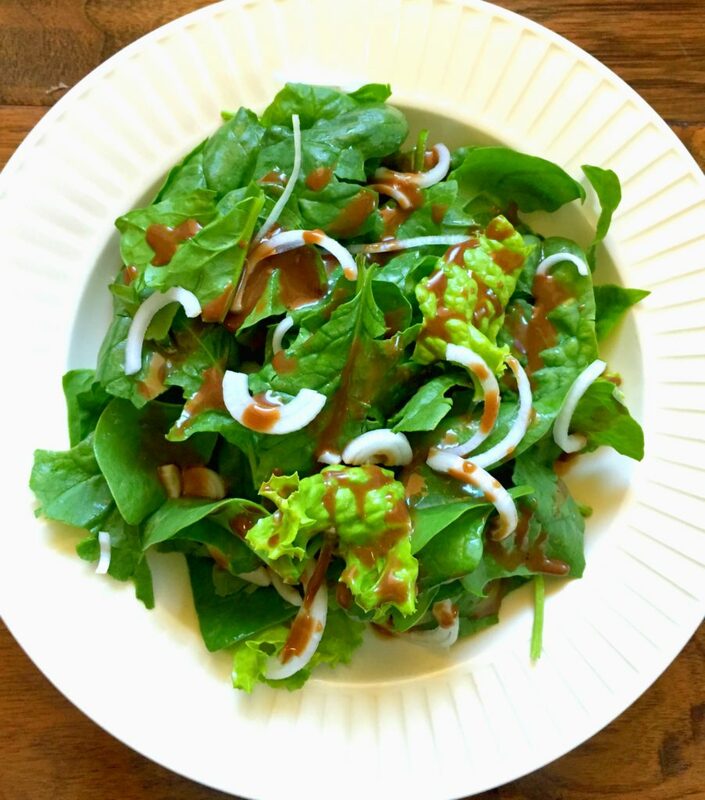 With all of the fresh ingredients, make a salad today and top it with this scrumptious Honey Balsamic Dressing – with a twist! Try this easy salad dressing to enhance the flavour of the season! Combine shallot, mustard, honey, balsamic vinegar and Salmon Seasoning in a blender, and blend until smooth. Gradually add the olive oil until emulsified. Store in the refrigerator for up to a week. Using herbs and spices like parsley in cooking is a great way to boost the flavor and look of a dish without adding sodium, but also a way to provide additional nutrients and health benefits at the same time. Though traditionally overlooked as just a garnish, parsley is a giant amongst other herbs in terms of health benefits, and in such small amounts too. A sprinkle of parsley can not only make your meals tastier, but also make your body healthier. 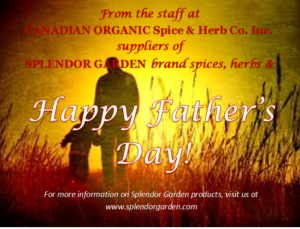 Try the Splendor Garden Organic Parsley Today! Anti-Cancer Studies show that myristicin, an organic compound found in the essential oil of parsley, not only inhibits tumor formation (especially in the lungs), but also activates the enzyme glutathione-S-transferase, which helps the molecule glutathione attach to, and fight against, oxidized molecules. 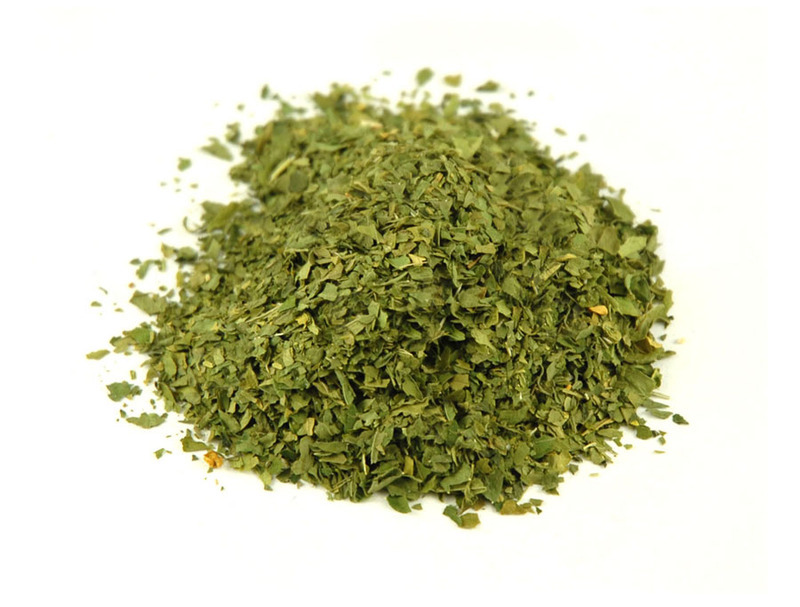 Antioxidants Parsley is rich with an antioxidant arsenal that includes luteolin, a flavanoid that searches out and eradicates free radicals in the body that cause oxidative stress in cells. Luteolin also promotes carbohydrate metabolism and serves the body as an anti-inflammatory agent. Furthermore, two tablespoons of parsley contain 16% of the RDA of vitamin C and over 12% of the RDA of vitamin A – two powerful antioxidants. Anti-Inflammatory Along with luteolin, the vitamin C found in parsley serves as an effective anti-inflammatory agent within the body. When consumed regularly, they combat the onset of inflammatory disorders, such as osteoarthritis (the degeneration of joint cartilage and the underlying bone) and rheumatoid arthritis (a disease causing inﬂammation in the joints). Healthy Immune System The vitamin C and vitamin A found in parsley serve to strengthen the body’s immune system, though in different ways. Vitamin C is necessary for collagen, the main structural protein found in connective tissue. This essential nutrient will not only accelerate the body’s ability to repair wounds, but also maintain healthy bones and teeth. Vitamin A, on the other hand, fortifies the entry points into the human body, such as mucous membranes, the lining of the eyes, and respiratory, urinary and intestinal tracts. Moreover, lymphocytes, or white blood cells, rely on vitamin A to fight infection in the body. A Healthy Heart Homocysteine, an amino acid that occurs in the body, threatens the body’s blood vessels when its levels become too high. Luckily, the folate (or vitamin B9) found in parsley helps convert homocysteine into harmless molecules. A regular garnish of parsley can help ward off cardiovascular diseases, such as heart attack, stroke, and atherosclerosis. Vitamin K Two tablespoons of parsley have a whopping 153% of the RDA of vitamin K, which is necessary for the synthesis of osteocalcin, a protein that strengthens the composition of our bones. Vitamin K also prevents calcium build-up in our tissue that can lead to atherosclerosis, cardiovascular disease and stroke. Finally, the vitamin K found in parsley is essential for synthesizing sphingolipid, the fat needed to maintain the myelin sheath around our nerves, and therefore our nervous system as a whole. Overall, consuming foods that are high in nutrients is an excellent choice to bettering your health. Also, consuming parsley makes your breath fresher! Bonus. 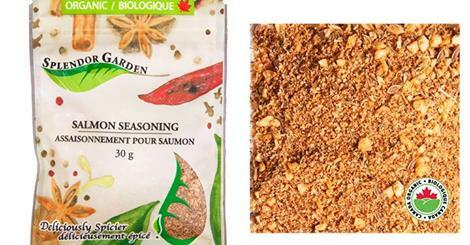 Salmon Seasoning – Did You Know? We love this article by Annie Hauser at Everyday Health. It explains the many benefits of eating fish twice a week. And if you weren’t sold on “heart health boosting, waist slimming” properties, adding our Salmon Seasoning to your next catch will surely change you mind. The delicious ingredients include Anise Seed, Cayenne, Citric Acid, Dill Weed, Fennel, Garlic, Lemon Peel, Onion, Paprika, Pepper Black, Sea Salt. Try it today! Fish has a reputation for being low calorie, high protein “brain food,” thanks to the long strands of polyunsaturated essential omega-3 fatty acids (popularly referred to as “omega-3s”) found in fish oil. The human body can’t naturally produce omega-3s, but yet they’re needed for a healthy body, inside and out. Although the link between omega-3s and heart health has long been known, several new studies present even more evidence that fish high in fatty acids is essential for total-body wellness. The good news is if you’re not a fish fan, most new research indicates that eating fish only once or twice a week can be enough to reap the benefits. Meanwhile, the National Institute of Health recommends that people consume at least 2 percent of their total daily calories as omega-3 fatty acids, which equals about 4 grams per day. One four-ounce piece of salmon (one of the highest natural sources of omega-3s) contains about 1.5 grams of the fatty acid. Other fish, such as tuna, sardines, and halibut, also contains high levels. If you don’t eat animal products or have trouble fitting fish into your diet, you can get your daily recommended amount of fatty acids through omega-3 DHA/fish oil supplements. Although new data from Consumer Reports suggests that more Americans are buying omega-3 supplements than ever before, the doctor-recommended way to consume the health benefits of fish is still by eating the real thing. If the heart-health-boosting, waist-slimming properties weren’t reasons enough to eat more fish, here are seven more ways adding a dose of fish to your diet can improve your health. Prevent Heart Disease: A Danish study of 49,000 women that was published Monday in Hypertension: Journal of the American Heart Association found that women who ate little to no fish had 50 percent more heart problems than those who ate fish at least once per week. Additionally, researchers found that women who rarely ate fish had a three-fold higher disease risk than those who ate it often. Other research has found that eating fish high in omega-3s can slash blood fat levels, which can contribute to a lower heart-disease risk. Reduce Alzheimer’s Risk: Eating fish as little as once a week can help preserve gray-matter neurons — the part of the brain linked to memory and cognition — according to a new study presented last month at the Radiological Society of North America’s annual meeting. Researchers found that people who eat baked or broiled — but not fried — fish had larger brains and larger cells in the areas of the brain responsible for memory and learning. Scientists believe the larger brain volume can help lower the risk of cognitive decline and Alzheimer’s disease. Improve Skin and Hair: One of the biggest drawbacks to a low-fat diet is you often deprive your skin and hair of the healthy fat it needs, leaving it dull and dry. The omega-3s in fish are exactly the type of healthy fat to eat to keep your skin looking nourished and your hair shiny. Research has also linked fish and omega-3 consumption to treatment of skin conditions such as psoriasis. Ease Depression: Several studies have found that when taken along with prescription antidepressant medications, the omega-3s in fish are more effective at treating depression that just prescription medication alone. One study of 52 pregnant women found that taking a 300 mg capsule of omega-3s during pregnancy significantly reduced the women’s risk of postpartum depression. Boost Brain Development: The EFA omega-3 found in salmon and other nutrient-rich fish are essential nutrients for children because they contribute to brain development. Some studies have even found that omega-3 consumption can help soothe symptoms of ADHD. Experts recommend, however, that parents ask their pediatrician before introducing supplements to a child’s diet. Dose of Vitamin D: Saltwater fish is a sun-less source of vitamin D, which scientists say can help ward off disease, promote bone health, and with the help of the omega-3s in fish, ward off cognitive decline. Just one three-ounce serving of salmon contains 75 percent of your daily recommended amount of the vitamin. Stronger Sperm: A recent study of 188 men found that those who ate more fresh fish — along with other healthy foods such as fruits, vegetables, and whole grains — had stronger swimmers than those who ate unhealthy diets. Researchers say that more study needs to be done, but preliminary data shows that the better the participant’s diet, the stronger the shape and mobility of the sperm he produced. With ingredients like Anise Seed, Cayenne, Citric Acid, Dill Weed, Fennel, Garlic, Lemon Peel, Onion, Paprika, Black Pepper and Sea Salt, salmon seasoning compliments fish cooked any way you please! Follow us for delicious recipe recommendations this week. Ooey Gooey BBQ Pork Sandwiches are the epitome of summer. Sitting around a picnic table with the ones you love on a hot summer evening with two hands wrapped around a bun, juice dripping down your arms…YES! Summer is here! Throw this in a slow-cooker and head to the beach! Try our recipe recommendation using our BBQ Rub Seasoning! 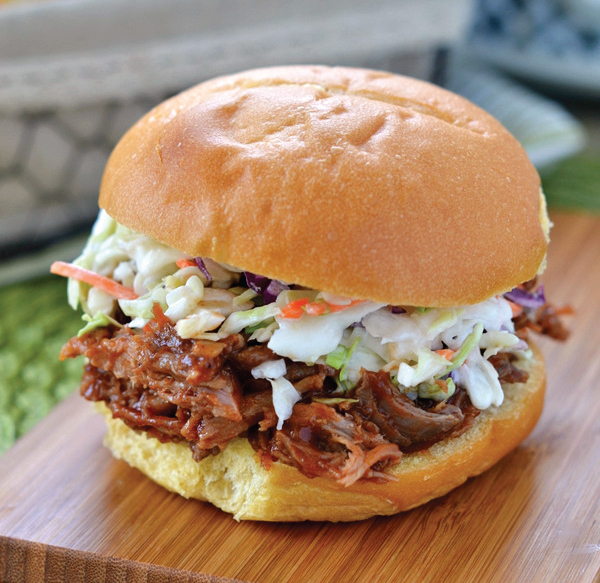 The easiest and, arguably, tenderest pulled pork comes out of the slow cooker. Here, we coat pork shoulder with a spice rub of dark brown sugar, BBQ Rub Seasoning, and Cinnamon, then cook it on a bed of garlic and onions moistened with chicken broth. Six to ten hours later, the juiciest pork imaginable is ready to be shredded and served atop nachos, or in a sandwich with your favorite BBQ Sauce. This no-fuss, versatile recipe makes enough to feed a crowd, and the leftovers—should you have any—freeze well. Preheat your oven to 220 degrees. Generously rub each rack with Splendor Garden BBQ Rub Seasoning and sprinkle with Splendor Garden Sea Salt. Place racks of ribs in a roasting pan with a tight fitting lid. (If your roasting pan is too small, simply cut the racks into multiple large pieces to fit.) Toss in the garlic toes and add the 1/2 C of water to the bottom of the pan. Cover the roasting pan with lid and place in the hot oven for 2.5 – 3 hours. You will know when your ribs are fall-off-the-bone, when you insert a fork and they….fall off the bone. If they aren’t at that stage, they need a bit more time. BBQ the baked ribs on a hot grill and slather each piece with your favorite Organic BBQ Sauce. Switch your oven to broil, slather the ribs with Organic BBQ Sauce and pop them in. You aren’t looking to cook them here, you are looking to just crisp up the outsides a bit. It takes only a short few minutes in a hot oven. Watch them carefully as they can burn easily. BBQ Rub – Did You Know? Fall Off The Bone BBQ Ribs Recipe Coming This Week! BBQ dry rub seasoning has been around for many years and has become quite popular. In fact not long ago “marinades” were the more popular of the two forms of seasoning. That is quickly changing since dry rubs add greater intensities of flavor. 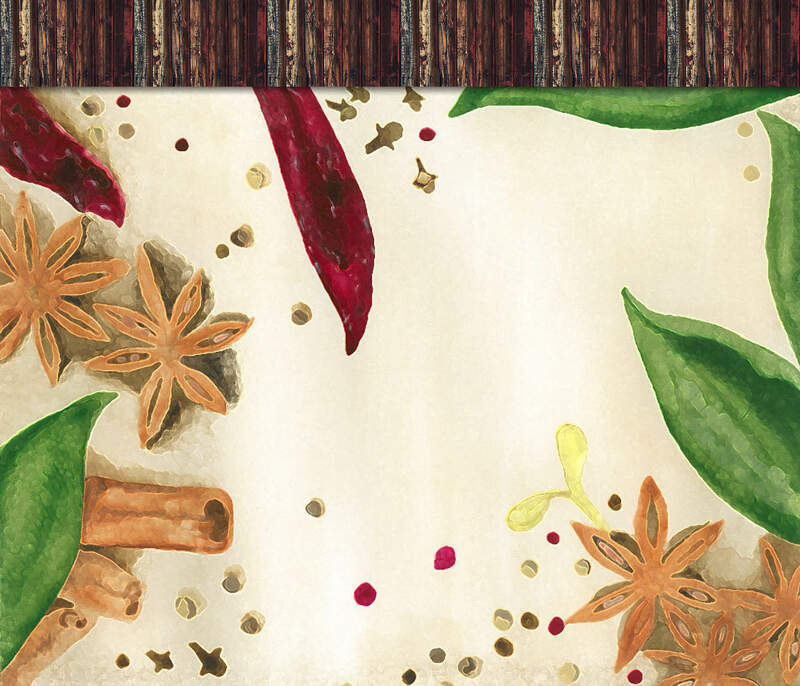 A dry rub is a combination of seasonings that is “dry” before being applied to the meat. The meat, which is moist, will cause the dry rub to become moist. It is not considered to be a wet rub or a marinade, just because it looks wet. When cooking with a dry rub, allow the meat to cook long enough for the rub to become dry again thus adhering to the meat. The Splendor Garden BBQ Rub Seasoning includes cayenne, celery seed, garlic, marjoram, mustard, black pepper, sea salt and thyme! We love Megan from Fitting Into Vegan . She is making the switch from vegetarian to vegan! 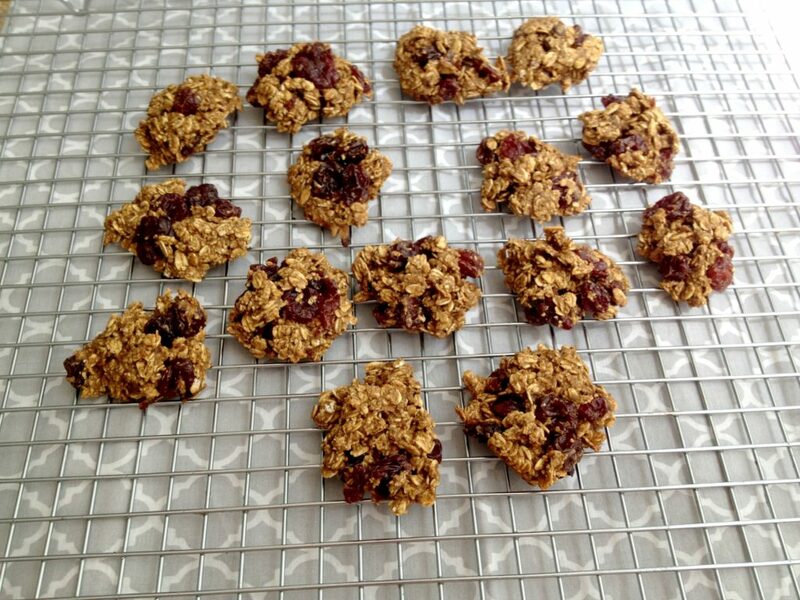 Her Vegan and Gluten Free 5 Spice Oatmeal Cherry Cookies are worth the effort and have accessible ingredients. 1. Set oven to 350 degrees and spray two baking sheets with non-stick spray. 2. Process oats in a small food processor until flour. 3. In a large mixing bowl add flour, oats, baking soda and powder, cinnamon, and 5 spice and mix. 4. In a small bowl mash banana with vanilla. Mix Vegg with almond milk and add to bowl along with Splenda. Mix then dump in large bowl. 5. Mix ingredients then add cherries and mix again. 6. Take a small amount of batter onto a spoon then press flat on spoon then scoot onto baking sheet. Continue until all batter is portioned into cookies. 7. Bake 10 minutes. 8. Enjoy!